Good Shepherd United Church of Christ has been blessed by our very close association with two other dynamic families of faith in the Cary Community. Our churches worship together, work together and enjoy social activities that help to reinforce the common ground of our faith heritages. We know our collective bonds allow us to become even greater stewards of God’s message, as reflected in the teachings and actions of Jesus Christ and His followers, and in our activities and community involvement. The most recent example of our three churches’ collaborations is the program that offers a progressive exploration of issues involving race, faith and community, called Community in the Heart of Christ. Cary First Christian Church is truly among the first houses of worship in Cary. 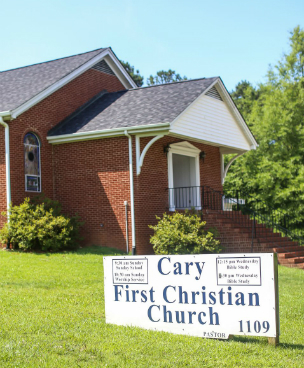 Established in 1868, the church had the largest church membership in Cary by the time it moved to its long-standing location in downtown Cary in the former Cary Colored School building. Ground-breaking for Cary First’s current home took place in 1966. Members and friends volunteered their time and building talents on Saturdays and holidays until the church at 1106 Evans Road was completed. The cornerstone was laid on July 4, 1968. The building was formally dedicated in September 1968. Our churches’ association extends back to Good Shepherd’s origins. As a brand new church “planted” by the United Church of Christ in 1987, Good Shepherd relied heavily on the guidance and goodwill of other area churches, including Cary First, which shares the Christian Church and Congregational denominational heritage of Good Shepherd and the UCC. In additional to providing support to Good Shepherd, Cary First has partnered with Good Shepherd on numerous activities. The two churches worked together to found MLK Dreamfest, which is now the Town of Cary’s official observance of the Rev. Dr. Martin Luther King, Jr. holiday. 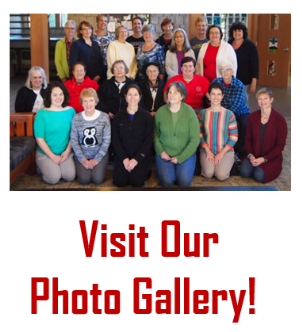 The two churches developed a ministry called Family Connections, which worked to strengthen relationships between the congregations and the community they serve. This collaboration led to a long-standing Fifth Sunday worship program, where the churches took turns hosting worship and providing fellowship in every month with 5 Sundays. Under the active leadership of current Pastor Mycal X. Brickhouse and the Cary First Christian Church congregation, the two churches continue their tradition of worship and working together in the spirit of Jesus Christ. Learn more about Cary First Christian Church by visiting their website, or contacting the church by email or at 919-467-1053. 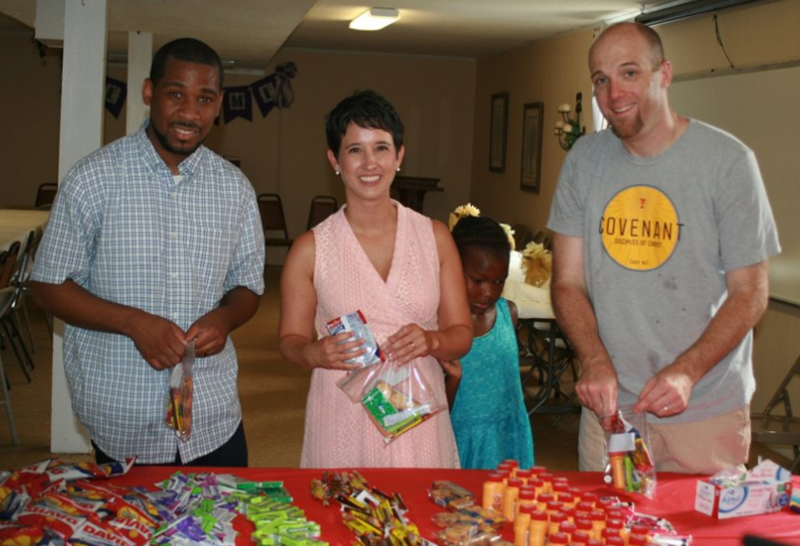 In recent years, the congregations of Covenant Christian Church and GSUCC have enjoyed many opportunities to worship together and partner on a variety of activities. From our annual collaborative Vacation Bible Schools, to joint worship services and choir activities, mission trips, social justice initiatives and casual fellowship gatherings, the members of these two churches have frequently shared in their faith journeys. As a member of the Disciples of Christ denomination, Covenant Christian Church holds many of the same progressive theologies as Good Shepherd UCC, the United Church of Christ and other mainline Protestant denominations. 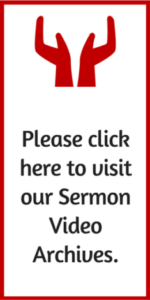 This common approach to faith and worship has made it easy for our churches to work together on a frequent basis. 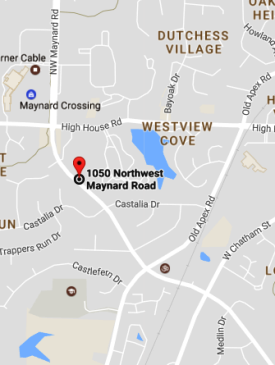 Located at 2911 SW Cary Parkway, Covenant Christian Church is pastored by Reverend Chris Furr. You can learn more about Covenant at their website, or by email or phone at 919-481-4715.